'Tis the season for sausages and mulled wine. Christmas markets signal the beginning of Advent with wooden chalets clustered together to sell local handicrafts, mulled wine, and holiday cheer. Dating back centuries, the tradition comes from winter markets of the Late Middle Ages across the German-speaking part of Europe and other parts of the former Holy Roman Empire, including what's eastern France and Switzerland today. Winter markets took place over the course of several days, instead of week, letting residents stock up on baskets, wood carvings, seasonal food, and other supplies for the looming cold months. Dresden's market may be the oldest in Germany, with the first event approved by Frederick II, Elector of Saxony, in 1434. Eventually these seasonal markets turned their focus on Christmas celebrations, as known today. 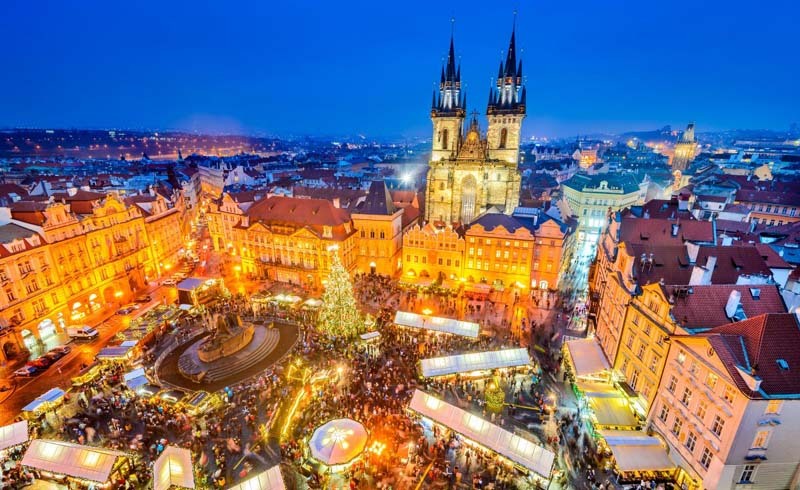 Here are some of the best Christmas markets in Europe for a holiday treat. 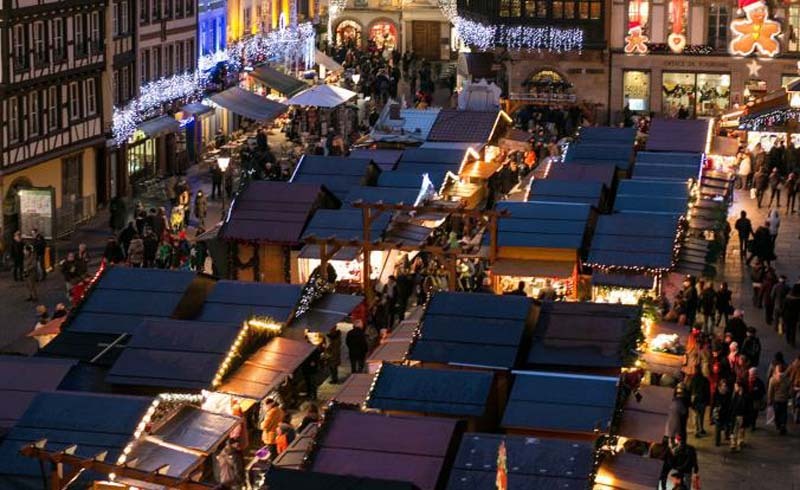 The Strasbourg market lights up the Place de la Cathédrale. The largest and oldest in France, the Strasbourg Christmas Market dates back to the 16th century. Hundreds of market stands spread across the Grande Île–an island in the historic center of the city and a UNESCO World Heritage site. Try delicacies from this part of northeast France, like crepes, spices to bake gingerbread, and Alsacian white wines. Next to the towering Christmas tree in Place Kleber, the "Sharing Village" supports local nonprofits and charities and an ice skating rink offers a view of the main cathedral by night on Place du Château. In the Quartier Gare train station district, “Off” de Noël highlights Strasbourg’s local designers and fair trade artisans, surrounded by the city’s best neighborhood for street art. The Croatian capital takes Advent seriously, earning accolades for the best Christmas market in Europe the past three years in a row. The fountain in Ban Josip Jelačić Square transforms into a light display and lanterns cast a warm glow across the avenue of trees and old music pavilion in Zrinjevac Park. Wash down the baked štrukle–a warm pastry dish of soft cheese–with mulled wine before burning off the calories by skating around King Tomislav Square. The six-piece Ad Gloriam brass band plays concerts from some of the most picturesque balconies in the city, setting the tone for the festivities in the streets below. Overflowing with 26 Christmas markets around the city, Amsterdam sets up an ice rink in front of the Rijksmuseum, surrounded by a village of wooden chalets serving olibollen (Dutch donuts) and mulled wine on the Museumplein. Trees fill the traditional flower market, a Ferris wheel gives the best view from RAI Amsterdam, and local artists and designers show off their work at the Funky Xmas market in the city’s former gasworks at Westergasfabriek. The Dutch capital kicks off the season with the annual Turn on the Lights celebration in mid-November, when over 400.000 LED lights and fireworks showcase the 19th-century Bijenkorf department store building and the 65-foot-tall tree in front of the Royal Palace on Dam Square. Yet the real magic brings artists from around the world to decorate the canals with installations during the Amsterdam Light Festival, the perfect time for a cruise. In Southern Germany, Nuremberg Christmas Market builds upon more than 400 years of tradition and surrounds the gothic, 14th-century Church of Our Lady soaring over the main square. Kids will love the magical Children’s Christmas Market, complete with a nostalgic, two-tiered carousel with reindeer, a ferris wheel, and a steam railway. Nuremburg sausages come three in a roll, then top it off with the famous Lebkuchen gingerbread, baked for more than 600 years in the city and offered in every shape and size. 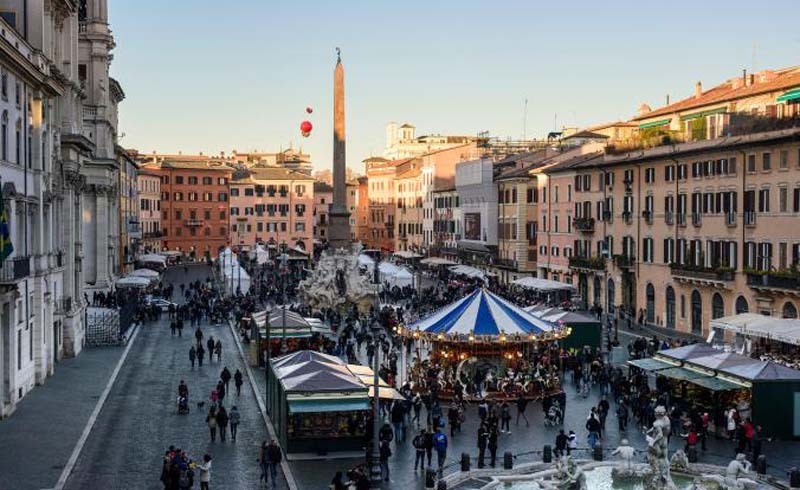 In Rome, the Christmas market covers Piazza Navona. The Eternal City’s market on Piazza Navona sits upon the stadium of Domitian, where ancient Romans watched games as early as the first century A.D. During December, local sellers crowd the square to hawk pastries and traditional toys while street musicians perform, all in front of the backdrop of Bernini’s Fountain of the Four Rivers and the 18th-century Church Saint Agnes in Agone. The showstopper 100 Presepi exhibition hosts around 150 nativity scenes from across Italy and over 40 other countries, including reproductions of traditional 18th-century Neapolitan and Sicilian cribs and 19th-century Roman mangers, plus modern versions made from unconventional materials such as sand, rice, pasta, and nuts. In 2018 for the first time, the display takes place at Via di Conciliazione 5 near the Vatican. Translated from the old Norman-French language simply as ‘Christmas Festival,’ La Fête dé Noué means parades, lights, festive films, and street theater on the streets of Jersey in the Channel Islands. The largest parish, St. Helier, fills with processing floats, marching bands, and dancers during the Christmas Battle of Flowers parade. Constructed in 1810 against the threat of Napoleonic invasion, the Grève de Lecq Barracks transform into a market of artisans. Taste crepes, saucisson, and cider from the French vendors lining the Royal Square in St. Helier or at the Norman-French Market at Weighbridge Place. 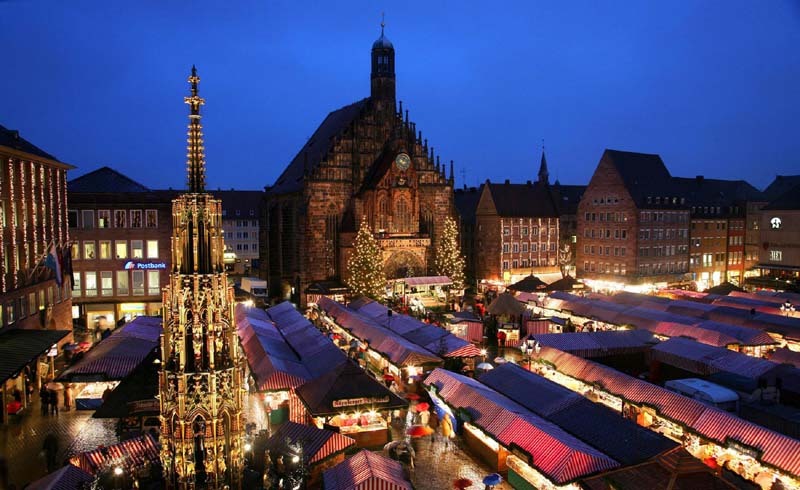 The Nuremburg Christmas Market dates back 400 years.